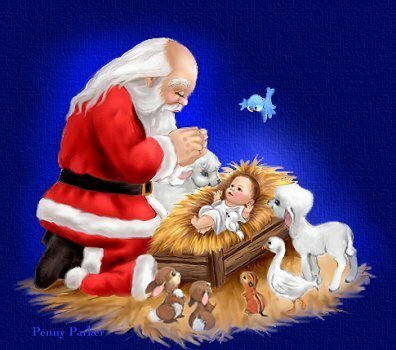 santa with baby Jésus. . Wallpaper and background images in the Christmas club tagged: christmas merry christmas images image winter photo holidays snowflakes. This Christmas photo contains bouquet, corsage, posy, and nosegay. There might also be rose, rosiness, rosé, incarnat, abricot japonais, mei, prunus mume, pavot à opium, and papaver somniferum.